Attention all you lovely ladies, the Malaysia Mega Sale Carnival is back! 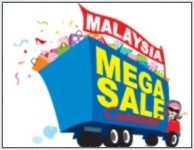 Now drop everything and dash off to Malaysia as the mega brand, mega bargain, mega exciting, mega sale carnival kickstarts from 24th July to 16th September. Theme of the carnival? 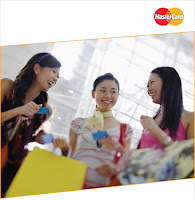 You will be happy to know that Malaysia is going the ‘Shop and Save’ way, an opportunity for you to cram your carts with major brands and latest introductions right from electronics to apparel, home décor to holiday packages, as well as entertainment activities all at fabulous prices. That’s not all, there’s also the ‘Malaysia Mega Sale Carnival Shopping Card’ in store for you offering some amazing discounts at participating retail outlets, special rates for rail travel excess baggage allowance on local /international flights, a MasterCard contest and redemption card, and many more…So hurry! steal the deal, before the scrumptious offers get over.